If you drive from Bradenton on the 64 over the bridge on Anna Maria Island you are tempted to turn right and head towards Bean Point. At the northern end of the island it is also breathtakingly beautiful, but the parking lots are unfortunately lackware. 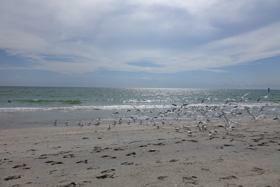 The Coquina Beach at the southern tip is in its size at least in Florida hard to beat. 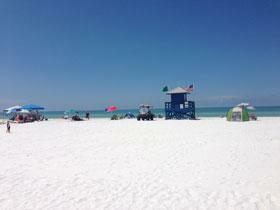 The Siesta Key Beach near Sarasota is a beach of superlatives, which once again tops the criterion "sugar sand" because the much finer medium flour is it more justice. 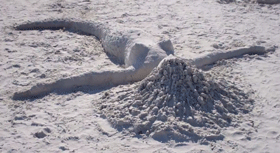 Something must be in the sand, which makes it nice and cool compared to other places. No wonder that he is in this year among the ten best beaches in the United States space 2. When it gets cold in Florida ... That does not exist? Well, if one rewrites cold with vernal 18 degrees Celsius, then it is likely in January in the Sunshine State. And then it's time for a walk on the beach of superlatives at Turner Beach. Here you will find pure ecotourism. It then runs only one piece to the north, you are all alone quickly. 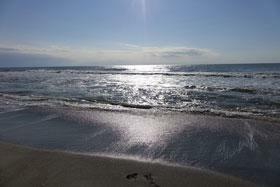 The wide sandy beach offers the ocean and waves as they occur rather rare in the Gulf. If you turn at the roundabout in front of the Public Englewood Beach left, is just a few minutes at the south end of Manasota Key to Stump Pass Beach. Here waits a gorgeous narrow stretch of beach untouched nature on romantics. One can of this narrow island section arrive simultaneously to the Gulf of Mexico and Bay. 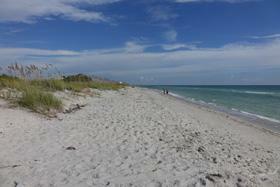 The Englewood Beach on Manasota Key is well suited for a swimming day with young children. The beach has a kind Sundeck, as you know from pools ago. With multiple levels the youngest and children can splash around on a wide strip from their perspective around in the water according to your mood. For adults it is a few meters then deep into the water, so that everyone gets their money. 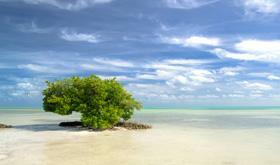 One of the best beaches in Islamorada is located of Anne's Beach on Lower Matecumbe Key Just off the Overseas Highway MM 73.4. 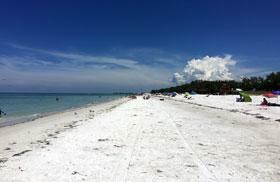 At low tide the sand is transformed into a clear strip of water with tidal pools. Hammocks and creeks seem to a green tunnel. Children love the play and missed the mud. The shallow water is also good for the kids to swim. 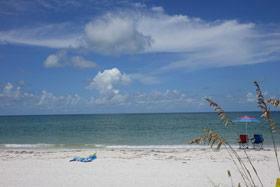 One of the most beautiful beaches on Florida's southwest coast is perhaps even a small tip. One does not necessarily equal discovered him in his first trip, because it is hidden behind an elite residential area of ​​Bonita Springs Barefoot Beach State Preserve. At the entrance of Barefoot Beach State Preserves 8 USD required entry. This issue is worth, not least when compared to the same to higher parking fees on Fort Meyers Beach. The white powdery sand trickles softly through the fingers. The waves adapt and dabble a bit in front of him. To fall asleep beautiful the Fort Myers beach is about a mile north of Lynn Hall Memorial Park. It is decorated with grasses and broad, very flat and therefore well suited for small children. Those looking for the rough sea, is out of place here. Especially at low tide you have to walk very far out to be completely under water. The romantics, however, is right here. 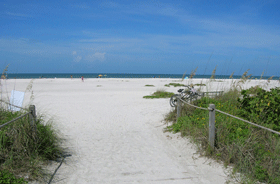 At Sanibel there are two Public Beaches that are beautiful no doubt both and thus the assessment should ultimately be the sense of the viewer: the beautiful Lighthouse Beach in the south of the island versus the more famous Bowman's Beach in the north. To get to the island, you have but only a "Wegzoll" when crossing the bridge of 6 pay USD and also the parking is not free. For compensate 2 USD per hour for the white sand, the turquoise sea and the most - when you run a little further is willing - even relative emptiness. 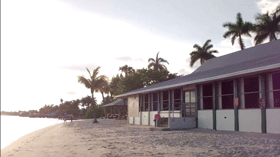 Cape Coral has even a beach, even to lie without the Gulf of Mexico. Even if the water from the Caloosahatchee River is not always suitable for swimming, you can spend a nice time here. For the little ones there is a playground for the big barbecue area, the sand is fine and inviting. Next door is just a pier, fishing on especially on the weekends the locals vigorously.